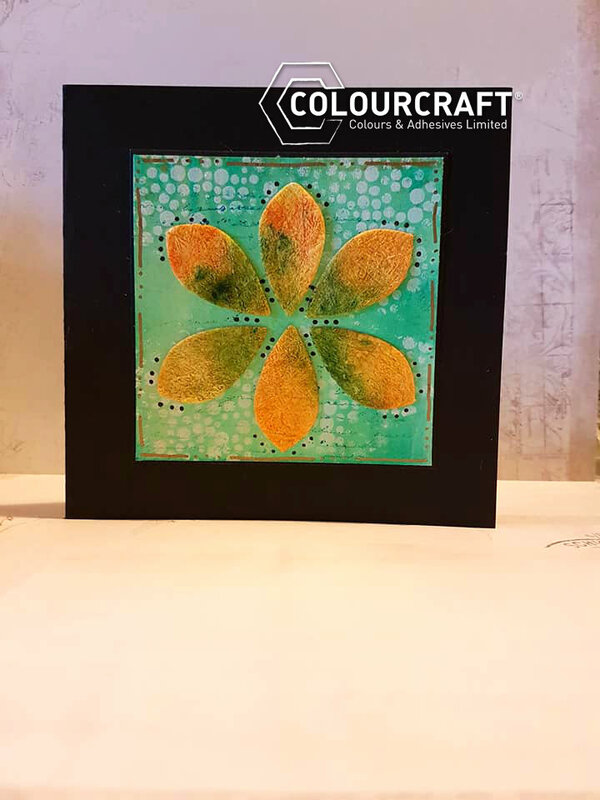 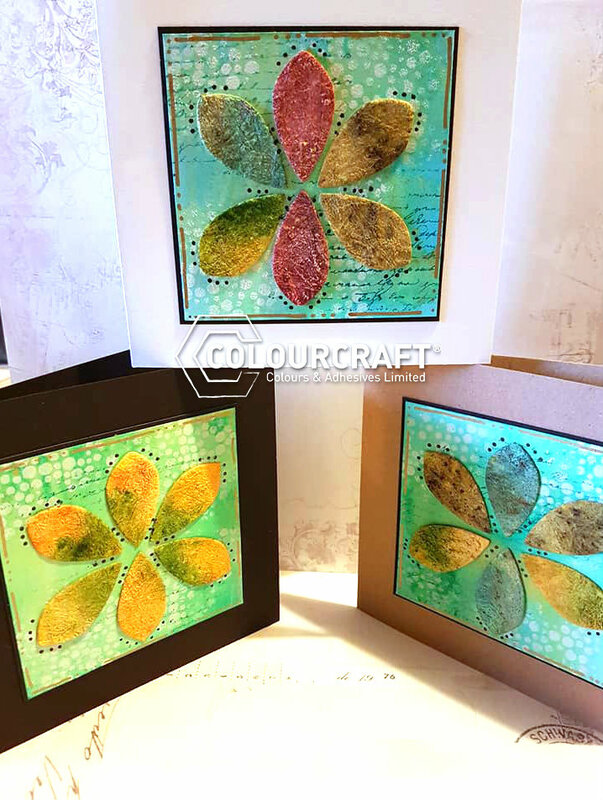 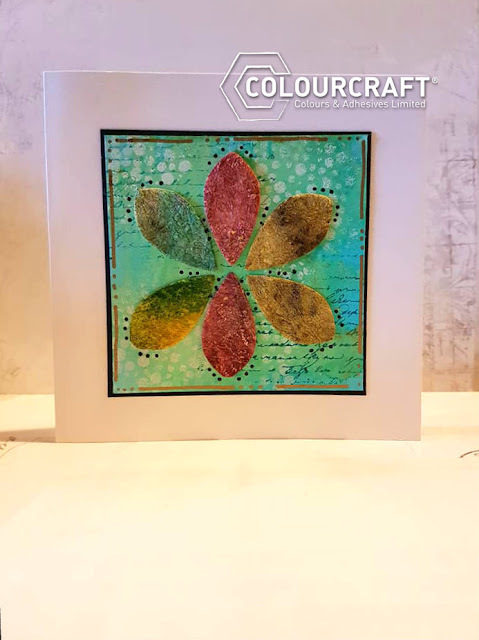 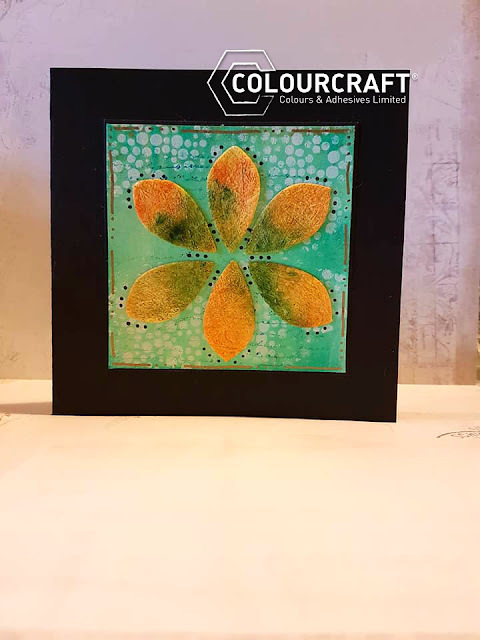 Sarah here today with you on the blog bringing some Spring Flower Cards..
For the cards created today, I used some lutradur/expandit leaves, left over from a previous project and turn them into spring flower cards, using the leaves as petals. 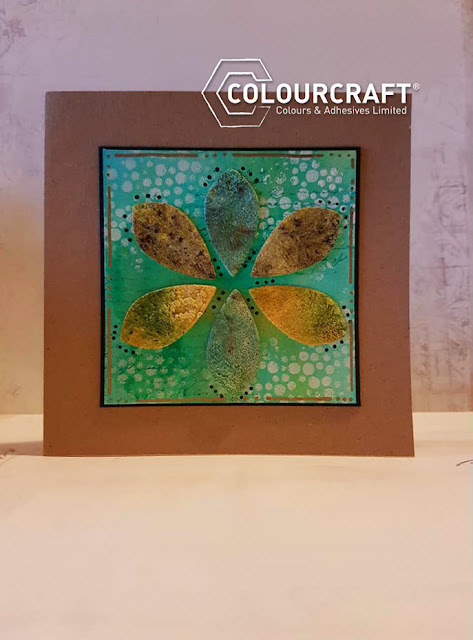 First of all I created the backgrounds by spraying Brusho acrylic mists into a baby wipe and swiping over the surface of my pieces of 4x4 Bristol Card, the colours used were Sea Green and Turquoise, then misted over with Gold. 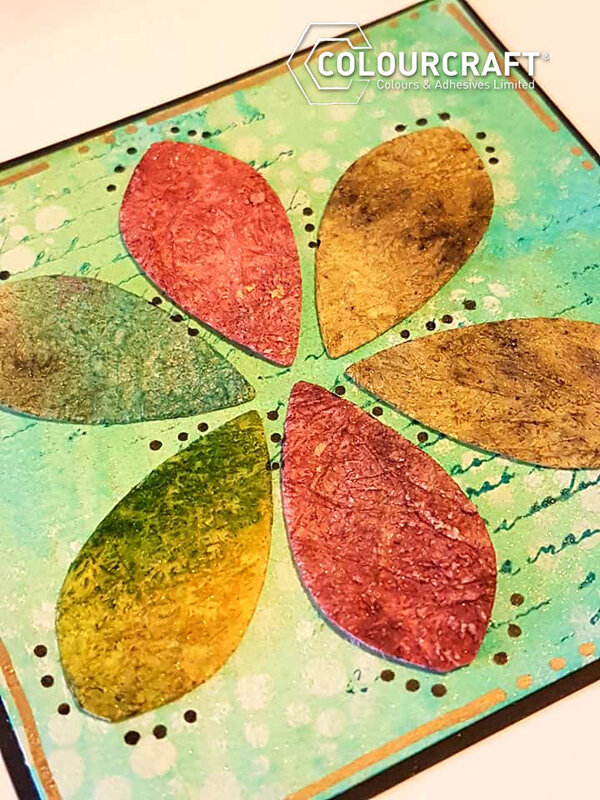 I also stenciled over the top of the background with white acrylic paint, then second stamped with a script stamp. 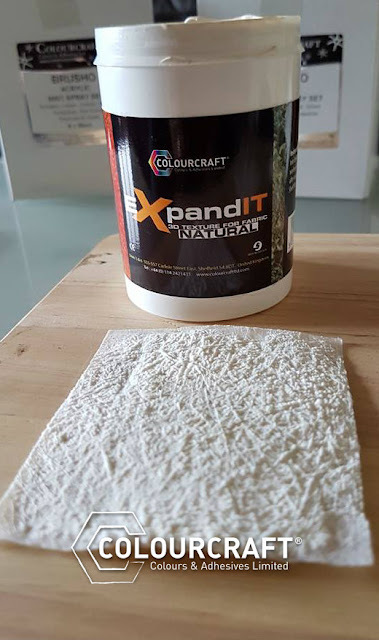 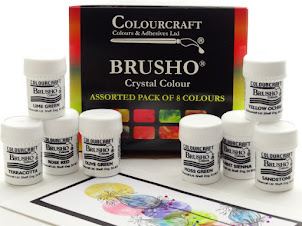 I love the texture that the expandit on the lutradur gives, and so easy to create,and it accepts sprays and mediums very well, and you use very little of the expandit, just a thin layer is enough.